Tekla Corp. is adopting the parent company Trimble brand, effective this month. Trimble acquired Tekla in 2011 and the transition reflects both the evolution of Trimble as well as its vision for the future, company officials note. Since the acquisition, Trimble and Tekla have eyed transforming the building lifecycle through advanced, accessible and intuitive technologies and driving increased collaboration across the industry. Trimble combines domain knowledge with a broad portfolio of technology and capabilities to develop customer-centric solutions that are reshaping the planning, design, construction and maintenance and operation of buildings and civil infrastructure. With an open approach to Building Information Modeling (BIM), the name change reflects the combined companies’ commitment to customers—providing the opportunity to more tightly connect Tekla software to Trimble’s Design-Build-Operate (DBO) solutions. “Trimble’s expertise, technologies and investment in research and development enable us to bring solutions to market that transform the construction workflow. The brand name is an important indicator of who we are and what we stand for,” says Trimble Structures Division General Manager Risto Räty. Construction, engineering and architectural communities across the world are adopting the BIM process to produce, communicate and analyze building models. Tighter integration of Tekla BIM software solutions and Trimble building construction estimating, project management and BIM-to-field solutions, company officials contend, will afford users a compelling set of productivity solutions and the ability to integrate data throughout a project lifecycle, while eliminating costs through better accuracy and interoperability. 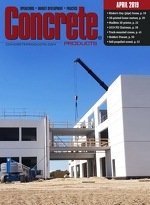 Noting how contractors’ ability to stay connected to stakeholders while on a job site can shave hours from their work schedules, construction management software developer Procor Technologies Inc. has released a free e-book, The Rise of the Construction App. It examines the rise of cloud computing, mobile revolution, how smartphones are changing the way architectural/engineering/construction professionals work, and tips for choosing the best project management app. Based in Carpinteria, Calif., Procore assists registered users with managing commercial, industrial and large multifamily projects. The e-book can be obtained at www.procore.com.